*Bow Wow, who has grown to be a budding big screen star, is moving onto the small screen. 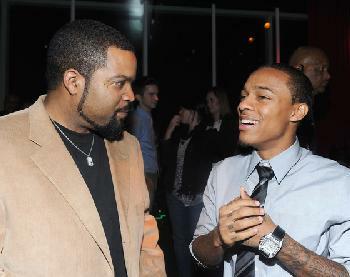 He plans to continue working with one of his primary co-stars, Ice Cube, for a possible sitcom. The rapper/actor told allhiphop.com that he – along with Cube – have been working with Jermaine Dupri for a score for a show. I like Ice Cube as an actor if he were to be in front of the camera I probably would check the sitcom out. Bowwow’s acting not so much. Great, we need more shucking and jiving.